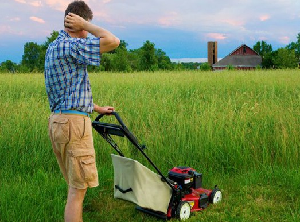 Landscaping Services: 4 Mistakes That Ruins Your Landscape (Instantly)! Landscaping seems so easy to execute. Visit your local home decoration store, hand-pick some of the most gorgeous plants, collect the right amounts of mulching products and gardening tools and you are good to go, right? And off course, some lawn mowing works twice or thrice a month. Only if it were that easy! Whether someone claims to be one of the most experienced landscaping services in Brisbane or just started out, in the field of landscaping and construction, there is always scope of learning something new. None can claim, we know everything there is to know in this field of services! Keeping all these aside, there are some common mistakes that should be avoided when carrying out landscaping. Or else, the work might turn into a flawed execution. Whether you are someone who does not know anything about landscaping, likes doing it yourself or hires professionals to carry out the tasks, it is important to know these mistakes that ruins landscaping works. Plants without landscaping is unimaginable. One rule of landscaping is to never place or insist someone on putting a plant somewhere based on how it looks. While this is an important part of the equation, you also need to ensure that the plant’s needs are met. You need to look into matters such as whether it is getting the right amount of sunlight and water? Will it be healthier in dirty beds or the rocky ones? Without considering the right location and mulching needs the landscaping work will not be considered a success. As the plants will not grow to its future potential. It might even die out quicker. Proficient landscaping services thoroughly understands what the plants need! Have you ever seen a golf course? The grasses there is cut to a minimal ground level keeping it small enough to a putting level. While it is done to serve a certain purpose, cutting the grasses in your garden to such a low level may affect its future growth. Too short grasses are unable to perform photosynthesis, can’t absorb nutrients properly and as a result produces weak grasses that have difficulty growing to its regular standard. For the best outcomes, you should keep your grass rough and at least 2.5 inches tall. A sustainable landscaping result cannot be attained within a day or two. It requires a well-planned execution keeping in mind the climate, space available, threats of pest infestation, colour patterns and functionality. It requires an expert landscaper, who is closely associated with the landscaping programs and the right choices for plants and feature works. It is best to start with a few beds and continue to add layers to the landscape over weeks and months rather than trying to do everything at once. Pruning is an important part of landscaping maintenance. It promotes strong growth and is necessary for the overall maintenance. However, pruning requires perfection. Slight mistake and it can damage plants and produce an unhealthy landscaping appearance. A plant should not be pruned more than 10-15% at once otherwise, it can inhibit growth due to trauma. The best times to prune your plants are in winter when the plants are at a dormant state. Ensure that a sharp pair of gardening shears are used to produce clean cuts through the stems and branches. This helps them heal quickly and helps prevent the spread of disease and infection. Lastly, do not cut the top off of a tree, as it weakens it and leads to irregular growth. It does not matter if you are an amateur or is working with expert landscaping services in Brisbane, if you avoid these mistakes you can enjoy immense landscaping benefits in the long run. In order to get successful results, you need to manage your garden carefully, work on it on a regular basis and obtain a better understanding of your plantation needs.